Diwali marks the great comeback of Lord Rama by defeating Ravana, after 14 years of exile and henceforth, signifies the conquest of good over the evil. A widely celebrated event in India, Diwali, gather devotees seeking future fortune, prosperity and well-being from the two most prominent deities- Lord Ganesh and Goddess Lakshmi. This day witnesses the welcome process of Goddess Lakshmi into homes and shops by illuminating every corner with enormous Earthen Diyas, Candles and other twinkling adornments. Children indulge themselves in exploding colourful Crackers and individuals take time out for their beloved relatives and friends and send bountiful souvenirs amidst all the divine conventions. It is been said that, happiness that’s shared is a happiness that’s worthwhile. 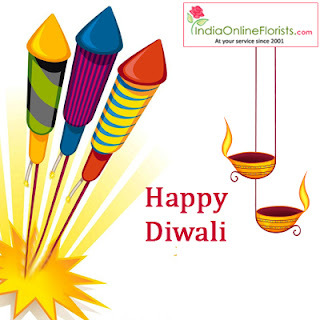 And similarly, to make happiness stay for a longer span of time, people share the vibe of the happy festival and Send Diwali Gifts to India for their adored family members and friends. Nowadays, Online Shopping has become a common affair and specially during rush hours when people run out of ideas and imaginations, they tend to rely on internet shopping facilities. 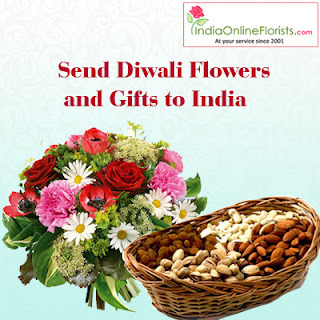 Particularly at times of big festivals like that of Diwali it gets a little stressful for individuals to think of unique gifting ideas for their dear ones. 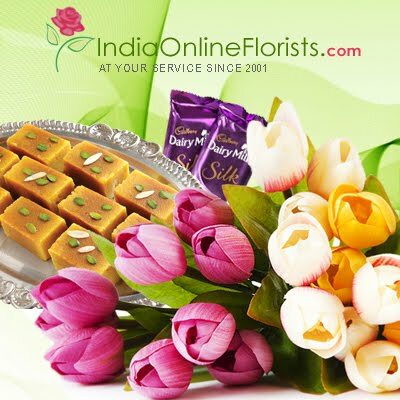 At such occasions, people bank upon the traditional presents like that of sweets and Send Diwali Sweets to India for their dear ones to relish. Apart from the all-so-classic Sweets, people also go for the healthy and tasty Dry Fruit collections for gifting purposes and Send Diwali Dry Fruits to India incorporating wholesome and dainty Cashew Nuts, Almonds, Pistachios etc. wrapped with immense affection, that is unanimously enjoyed by every single entity of a receiver’s family.